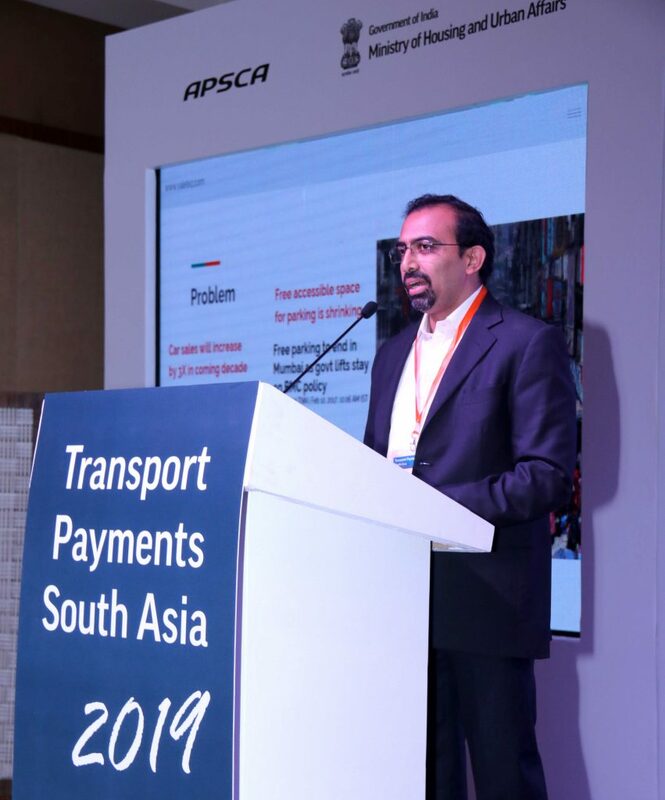 Transport Payments South Asia 2019, organised by the APSCA (the industry association for payments and identity in Asia) and supported by the Ministry of Housing and Urban Affairs (MoHUA), Government of India, was held in New Delhi on 14-15th March 2019. The annual conference, in its 13th year, focused on emerging trends in ticketing and payments in the intra city and inter-city transit sector. With a focus on the emerging parking industry at this year’s forum, our co-founder, Prashant Chandrasekaran addressed the forum and shared perspectives on the transformation sweeping the parking sector in India and opportunities for incorporating digital payment solutions.